This is wicked. 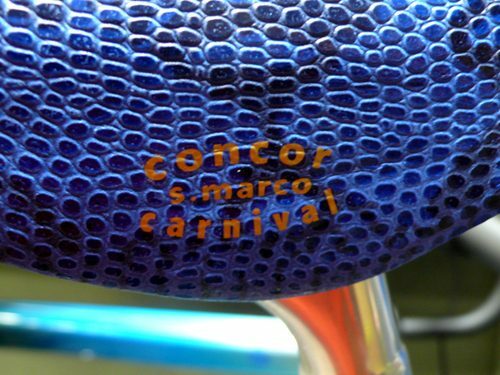 As a throwback to obscure and insane saddles from the 1980’s, San Marco co-branded a Concor saddle with the Tokyo-based bicycle shop Carnival. Clad in blue snakeskin, this saddle is sure to turn heads. Just one more list of “hot buys” Carnival is offering as of late. They’ve been busy! Another picture of the full saddle is here, at the Carnival blog.